Taking time out travelling, a bite to eat and time to relax is often top of visitor's priority lists, and so creating a chic yet comfortable place for them to take a break can ensure they make the most of their time with you. 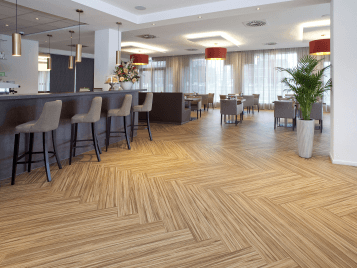 Whether you want to bring the outside in with the natural look of wood and stone, or if you want to create a cosy, warm atmostphere, Forbo Flooring has a wide choice of products to suit your needs. 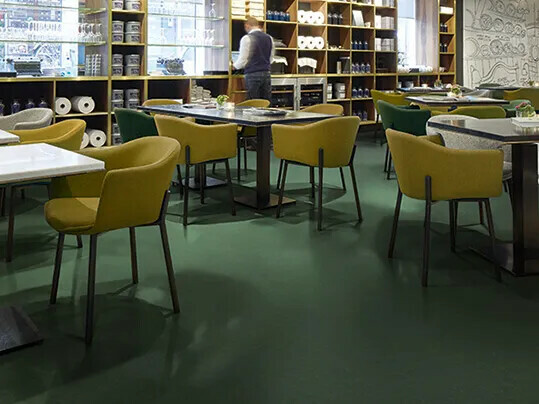 Flotex Flocked Flooring is the only product available in the flooring market that exceeds in combining the best of both worlds, comfort and resilience. 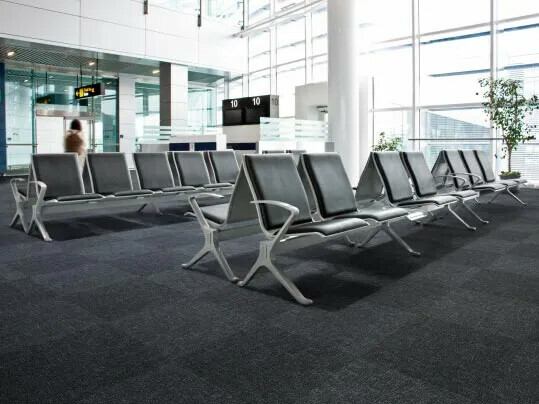 Flotex offers a floor covering solution for areas where safety hygiene and well-being are high in demand. 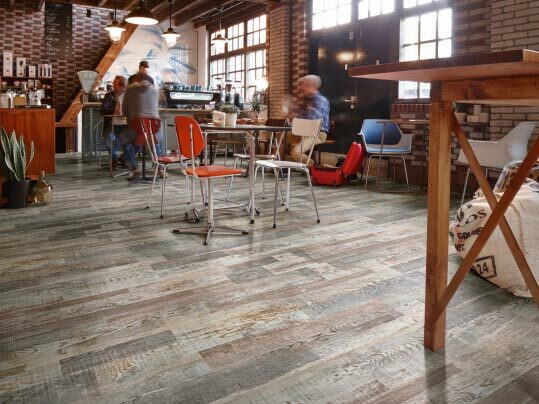 The Forbo Eternal general purpose vinyl collection presents a balanced range of wood, stone and abstract designs, alongside a comprehensive, modern colour palette sure to complement your interior design. Eternal's high tech PVC wearlayer and PUR Pearl finish are key to the collection's ability to keep it's as-new appearance even after years of intensive use. 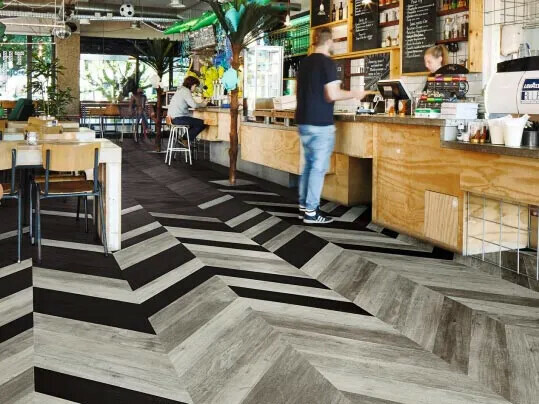 For food service areas in bars and restaurants where food and drink spillage can pose potential slip risks, our Step safety vinyl collection provides a selection of design orientated, Health and Safety Executive compliant safety floors to guarantee safety underfoot. 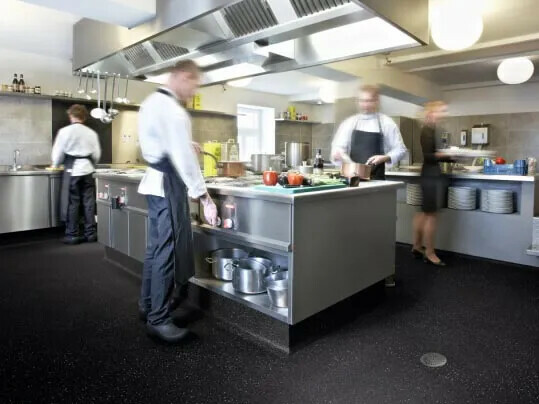 For back of house and food preparation areas, the collection also offers R11 and R12 rated floor for additional security and peace of mind.